The kingdom has admitted the journalist is dead, but its statement raises big questions about what actually happened and why. The Saudi statement said that the “suspects” in Khashoggi’s killing had traveled to Turkey to meet with the journalist as he had suggested he was interesting in returning home. However, Khashoggi had traveled to the consulate with his fiancee, Turkish national Hatice Cengiz, who has said that her partner was seeking a document from the Saudi government that would allow them to wed.
Khashoggi himself had told friends that he was suspicious of attempts to lure him back to the kingdom. “He said: ‘Are you kidding? I don’t trust them one bit,’ ” after one such attempt, Khaled Saffuri, an Arab American political activist, recounting to The Washington Post. The Saudi government account suggests that at the start, the discussion with Khashoggi inside the event began as a discussion but soon turned negative and developed into a “a fight and a quarrel between some of [the suspects] and the citizen." Again, if this was a simple discussion, it would seem unnecessary to send members of the Saudi security services. However, The Post has found that at least 12 members of the alleged hit team identified by Turkish authorities had some kind of link to the kingdom’s security services. One of the suspects, Salah Muhammed al-Tubaigy, was a forensic expert known for pioneering rapid and mobile autopsies. Bruce Riedel, a former CIA official and Brookings Institution fellow who has written a book about Saudi-U.S. relations, said this stuck out to him. The Saudi account makes not suggestion that the crown prince knew about what had happened to Khashoggi. 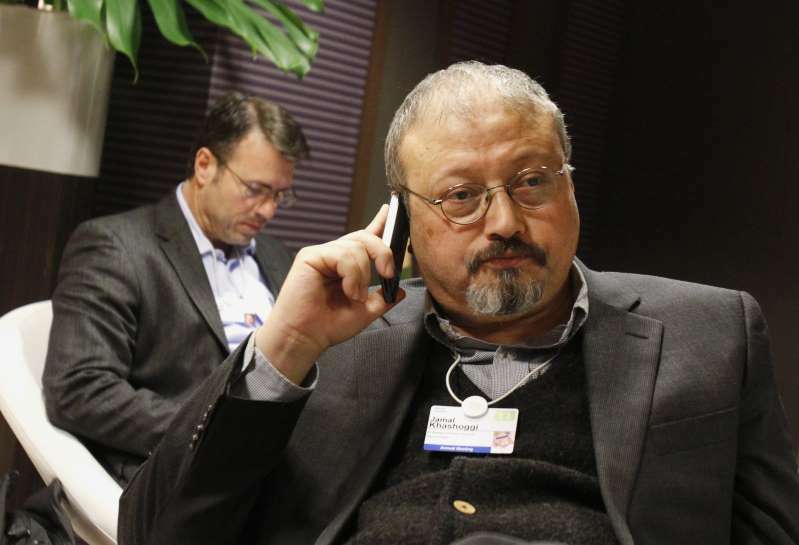 Indeed, he has been tapped by his father, King Salman, to lead a commission that is designed to review and “modernize” the kingdom’s intelligence operations after the death of the journalist. The Saudi government said that 18 people had been arrested. It was unclear, however, whether these people were the same 15 suspects who had been identified by Turkish authorities. A report on the Saudi-owned al-Arabiya news channel had previously said that the 15 were “tourists” who had been falsely accused.